Have you started to create and publish video content on your blog to attract more visitors and increase engagement? Due to the benefits of videos as well as how easy it is to create them nowadays, it makes sense that you should fully leverage the advantages that they can provide to your blog. If you haven’t already started to create guides or tutorials, they should definitely be at the top of your list. As far as video content goes, this is one type that has a very natural appeal because it is genuinely useful and beneficial to viewers. The only caveat when creating how-to guides is that the topics you choose should be interesting to your audience. In other words your guides should help them perform a task that is related to their interests, or solve a problem that they may be facing. It is worth noting that how-to guides can subtly promote certain products or services as well, by showing them ‘in action’ and thus showcasing their benefits. Conducting an interview with an expert about a topic related to your blog could provide helpful advice and illuminating insights. The appeal of this type of content will largely be based on the credentials of the expert that your interview, as well as the topic (or topics) of the interview itself. Contrary to what you may imagine, you don’t need to conduct the interview in person, but can instead record an interview carried out over a video call. Additionally you could expand this type of video into a panel discussion, and include multiple experts with possibly differing viewpoints to encourage discussion. Holding a live webinar can be an excellent way to serve up informative content in a manner that encourages engagement. The most effective live webinars include a Q&A session, that gets the audience to participate – and increases engagement levels by leaps and bounds in the process. On top of their normal appeal, there is also the opportunity to introduce an element of scarcity to your live webinars. In short, you could limit the number of seats that are available and get people to sign up early – possibly helping to build up your email list or blog subscribers in the process. In simple terms a video blog or vlog is essentially just a video version of what would normally be a blog post. It typically takes the form of a ‘talking head’ video that is recorded via a webcam, and will consist of you discussing a particular topic or subject matter. Although video blogs are definitely a very basic type of content, you shouldn’t underestimate how engaging they can be. If you’re able to inject some personality into your video blogs they could become a very interesting and engaging and will help to build up your personal brand and following as it gives people a glimpse of who you are. Generally the most effective video blogs are the ones that have an authentic or genuine vibe, which is why it is important not to make yours seem overly rehearsed. While many blogs use product review videos as a strictly promotional type of content – they don’t necessarily have to be. Some of the most effective product reviews are honest and upfront reviews that discuss a product with the aim of informing viewers regarding its advantages as well as its disadvantages. Assuming the product is something that your blog’s audience may genuinely be interested in and want to know more about, a strictly informative and impartial review would definitely appeal to them. At the same time if the product itself is really and truly beneficial, the review will help to promote it in a subtle yet effective manner. Often a misunderstood form of content, case studies are used to dissect a particular event, activity, achievement, or development and is meant to provide viewers with important information that could help them out. For example if you’re running a marketing blog then you could create a case study about how a brand such as Coca Cola has been so effective at creating branding elements that stood the test of time. It can be tricky to create case studies, as it often requires in-depth research and analysis. However, with a solid subject matter as well as invaluable insights, case studies can be highly engaging and are bound to get viewers interested. In most cases it won’t be that hard to create any of the types of videos listed above, and you should be able to get by with a webcam, digital camera, or even just a smartphone. However for some types of videos you may need to record footage from your screen, which is why you may want to check out Movavi Screen Recorder. As a screen and audio recorder, Movavi Screen Recorder will let you record any part of your screen along with your system audio or even sound from a microphone. It will let you adjust all the recording parameters, and even has features that you can use to capture keyboard and mouse actions – which can be very useful for creating video guides or tutorials. 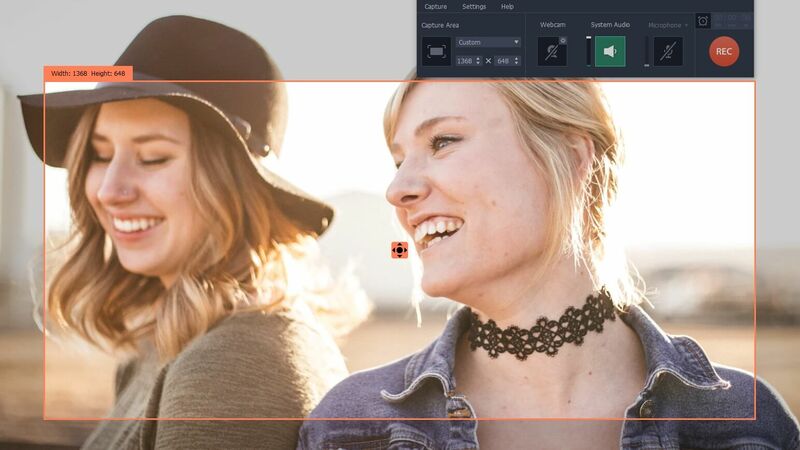 Simply put Movavi Screen Recorder is a great tool to have and will let you create a wide range of content. Aside from guides and tutorials involving digital products, you could also use it to record interviews, panel discussions, case studies, webinars, and much more. Assuming you want to create engaging video content for your blog, you should definitely make it a point to try it out sooner rather than later.